I am so tired of the typical Assassin’s Creed protagonists. Jacob Frye seems like everything we’ve come to expect from an Assassin’s Creed lead assassin, and he bores me to death, making the whole game feel lackluster. I kept saying that I was holding out hope that Evie would make the whole game awesome, and I hate to say I told you so (no, I actually love to say it), but I was totally right. Here is some Evie gameplay that has been released from Gamescom. While I truly despise the constant “iconic” Ubisoft marking crap, the actual gameplay looks like such fun. The chameleon skill looks a bit over powered to me, although I believe it is only unlocked quite late in the game itself. There were also some interesting shifts in camera angles, as well as some truly inspired music. 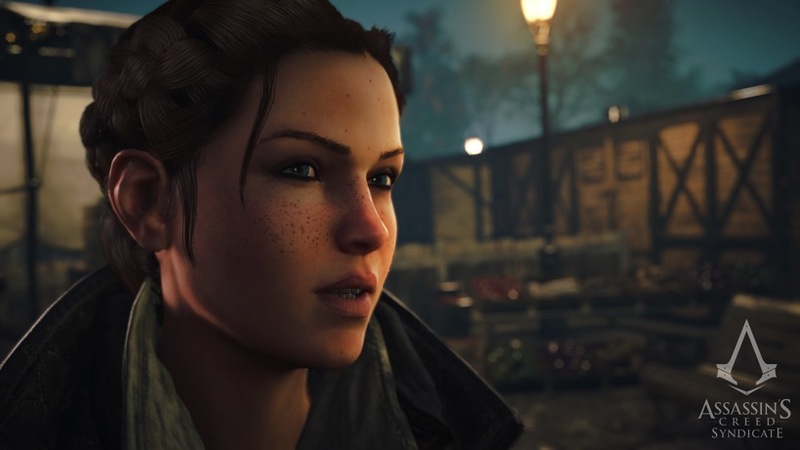 Assassin’s Creed Syndicate is looking better already. Watching her stealthy gameplay, it feels much more like what I can expect from my own experience with the game. This is how I like to play, what makes the Assassin’s Creed franchise unique. Watching a walkthrough showing the various options available, including a gameplay style that so perfectly matches my own makes me far too happy. This is what I was hoping for from Evie gameplay, and Ubisoft more than delivered. Thank you for restoring my faith in Assassin’s Creed games. I’ll just cover my eyes for the Jacob parts if no one minds. Does this change your view of the Assassin’s Creed game coming this year, or have you stopped paying attention already?